There are many papermaking industries around the world. One of them, Mr. Yu from a paper mill in Hebei, China, has encountered the problem that they have problems with foaming in the pulping process of papermaking. 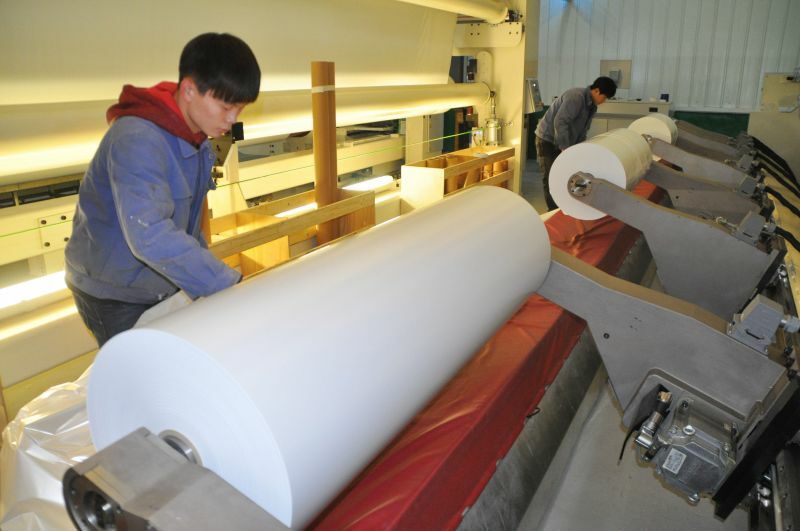 Of course, not only is the problem of foam encountered by a single paper mill, many paper industries will encounter it. How to solve the foam problem, it needs the intervention of papermaking defoamers. Pulp foaming has a serious impact on the papermaking process. Foams generated in paper mills and pulp mills can interfere with many processes that can affect refiners, pumps, screens, centrifugal skimmers, deinking equipment, and dewatering. The efficiency of the equipment. Foams will also adversely affect the final paper formation, porosity, opacity, printability, smoothness, and interlayer adhesive strength. Excessive foaming can result in the loss of fiber and raw materials. Mr. Yu made it clear to us after finding the Chinese company on the Internet and finally we gave Mr. Yu a solution: Let the customer try our federal E-441 paper defoamer and send it to us. After deciding whether to strengthen antifoaming agent. The papermaking defoamer developed and produced by the Commonwealth of the United States is specially designed for the foaming of the pulping process in the paper industry, eliminating bubbles floating on the surface of the pulp, air that can dissolve in the pulp, eliminating large bubbles on the surface of the water, and eliminating air bubbles. The influence of the process avoids the formation of holes, reduces the occurrence of paper breaks, does not overflow the storage pool, ensures the loss of fiber and wet end chemicals, has better uniformity of the paper, and greatly improves the quality. After a few days, Mr. Yu called again to our federal defoamer. His pulping problems have been solved. The foam slowly begins to burst during pulping, and it does not affect later processes. After consultations, Mr. Yu’s opinion is that our price should be a little lower. The Central Federation has made appropriate adjustments based on opinions. Finally, Mr. Yu is very satisfied with our order for 600KG paper defoamer products. The above is Mr. Yu's bubble problem during papermaking. We have already solved the problem. China Defoamer has 18 years of application experience. After many customers have used our products, they support us and meet the requirements of long-term cooperation. If you want to know about defoamer products, please click the bottom of the website to leave a message or contact us.